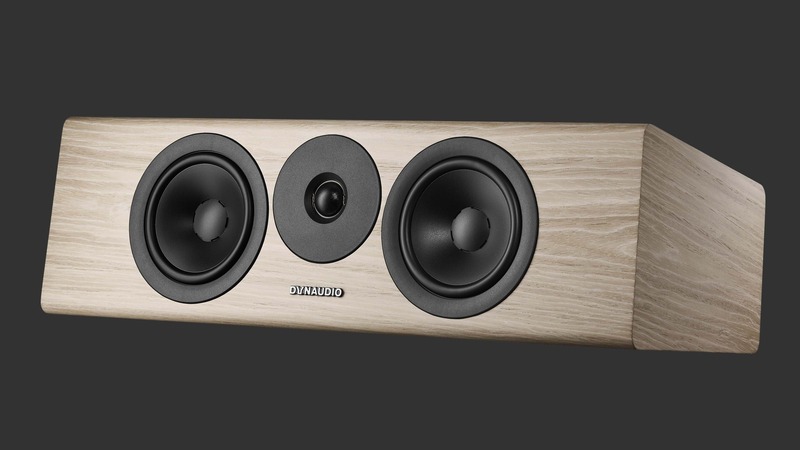 The two-way design has one 28mm soft-dome tweeter and twin 14cm long-throw woofers. Like the rest of the Evoke range, the tweeter is the brand-new Cerotar. 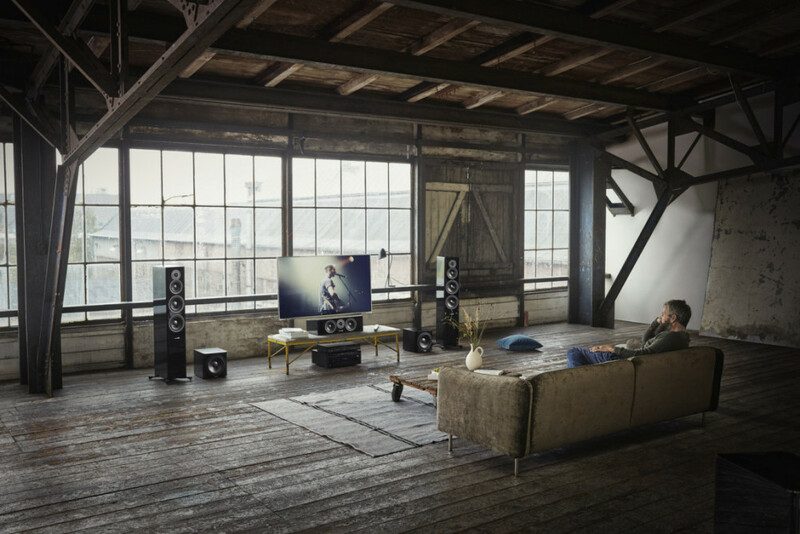 It’s based on key technologies from our award-winning Esotar Forty anniversary tweeter, and the mighty new Esotar3, which you’ll find in the top-of-the-line Confidence series. Like all Dynaudio tweeters, it uses a precision-coated soft dome. This coating is applied in exactly the correct places and thicknesses to optimise high-frequency performance – it’s a process derived from our most exclusive speakers. The Cerotar tweeter is powered by a new strontium carbonate Ferrite+ ceramic magnet for increased sensitivity, improved detail resolution and a natural, dynamic response. That’s all a posh way of saying “even if you’re watching one of those box-sets that lasts for nine hours, your ears won’t get tired”. Which, of course, is exactly as it should be. Evoke 25C’s twin 14cm Esotec+ mid/bass drivers are made from MSP (Magnesium Silicate Polymer), a material we’ve been using for our woofer diaphragms since the dawn of Dynaudio. It provides exactly the right combination of lightness, stiffness and damping to balance the needs of precise bass performance with clear, detailed midrange. The 38mm voice-coils themselves are made from aluminium, making them extremely light. That means we can use more windings. More windings gives us more control over the cone’s movement, which means more control over the sound – even at high volumes and high frequencies. That’s especially important in a centre speaker, which predominantly deals with speech – its midrange performance has to be absolutely top-notch. The woofer motor is kept stable, centred and true by the Nomex spider (the circular spring assembly that stops the cone moving when it shouldn’t, and lets it move when it should), while the new Contour-derived surround allows a longer throw ratio for greater punch. And, like the Cerotar tweeter, the woofers are both driven by ceramic Ferrite+ magnets for greater control, finesse and power. In non-speaker-designer language, that means “you’ll hear your movie the way it was meant to be heard”. No rough edges, nothing standing out where it shouldn’t – and nothing relegated to a cameo when it should be the lead. Our design department took drew inspiration from show-homes, home-interiors stores and real-life dwellings in Denmark to hone Evoke 25C’s look. After all, it’s as much a piece of furniture as the couch you sit on to watch your movies. The cabinet is tapered and rounded in a nod to the Contour and Confidence ranges, while the mounting screws are hidden behind stylish one-piece trim rings. Like a great movie, a great design doesn’t age. Evoke 25C will stay as timeless and thrilling as the classics you’re playing through it.